Seth successfully completed his pupillage under the supervision of Stephen Fletcher, his focus being on business and property work. He accepts instructions in all areas of Chambers’ practice. 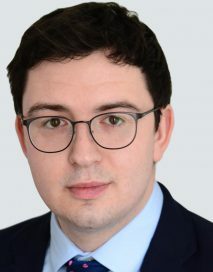 Prior to commencing pupillage Seth compiled a comparative guide on English commercial law guide for Allen and Overy’s Global Law Intelligence Unit and worked as a Legal Advisor for Carillion, assisting with multi-million-pound construction arbitrations. – passing off and trademark infringement. In addition to this commercial backbone, Seth has received a strong grounding in personal injury, private and public family law matters, employment and criminal cases. He has a particular interest in Employment Tribunal and Ancillary Relief proceedings. Before his legal training Seth worked for a leading educational consultancy firm and wrote about access and equality in education for the Times Educational Supplement. He regularly volunteers his time to schools in the North East and is always willing to assist in access projects. In his spare time, Seth referees Rugby Union games in the North-East, rides his folding bicycle and enjoys playing modern European board games.